But the United States Postal Service was never in doubt about the intended recipient: there was only one “Rabbi USA.” No other rabbi before or since Wise has dominated the American and the international scene with such passion and power. Both his admirers and opponents—there was no shortage of either group—acknowledged him as the premier leader of the American Jewish community and a major political figure. 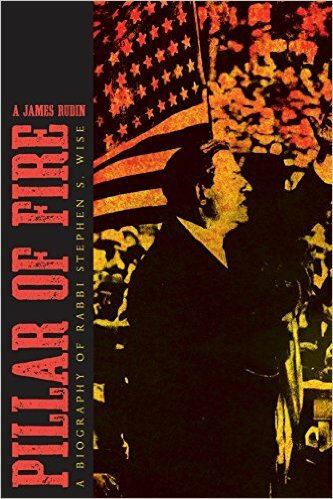 Pillar of Fire goes behind the headlines and the once-closed archives of the White House and the State Department to reveal the complex and controversial personal relationship between Wise and President Franklin D. Roosevelt when millions of lives hung in the balance during the Holocaust. It also explores Wise’s remarkable relationships with both President Woodrow Wilson and United States Supreme Court Justice Louis D. Brandeis. Finally, the book describes how Wise’s extraordinary actions in the realm of social justice and human rights permanently influenced every clergyperson, seminary. and house of worship in America. "Stephen S. Wise has been undeservedly neglected in the years since his death. Rabbi Rudin’s fair-minded biography restores this colossus to his well-deserved pedestal. In many ways, this is a one-of-a-kind biography of a one-of-a-kind rabbi."